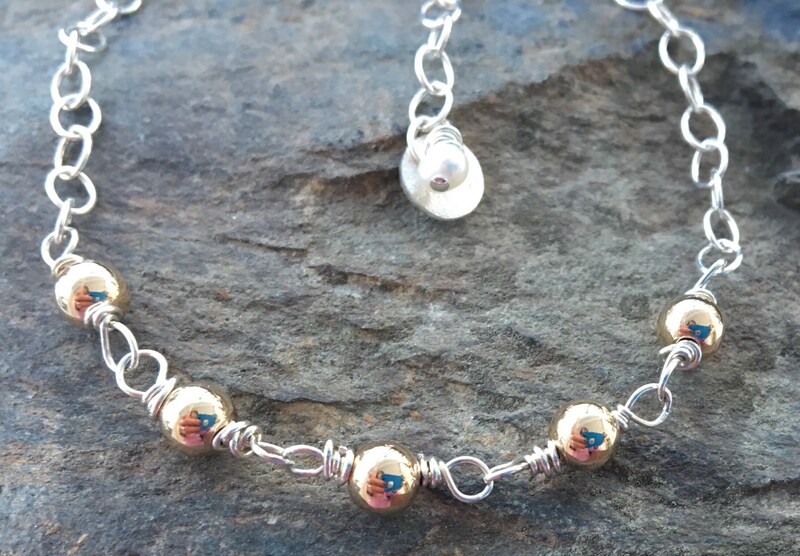 This adjustable bracelet is created using sterling silver chain. 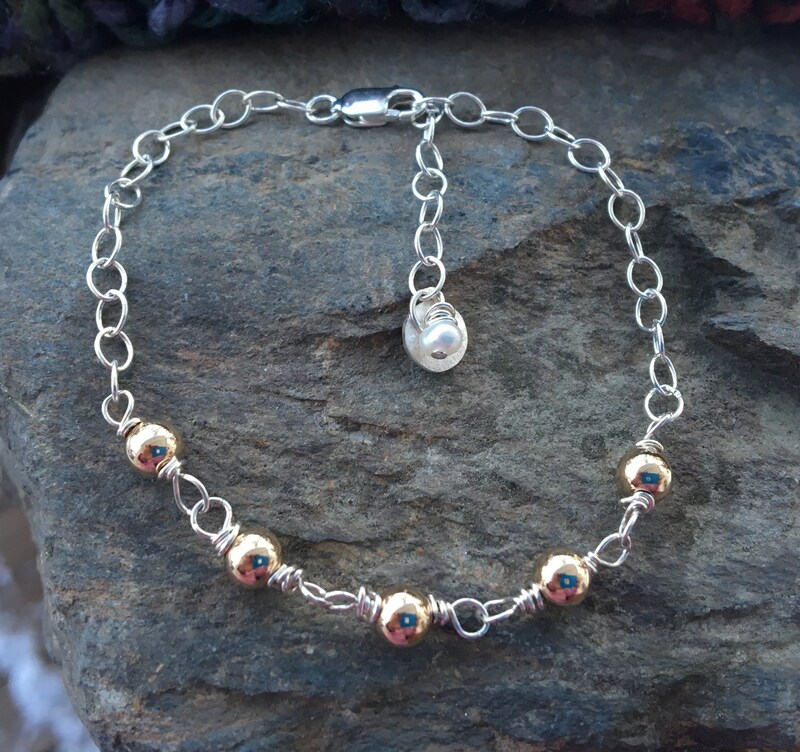 I then hand wired shiny gold filled beads to create a classic two tone bracelet. 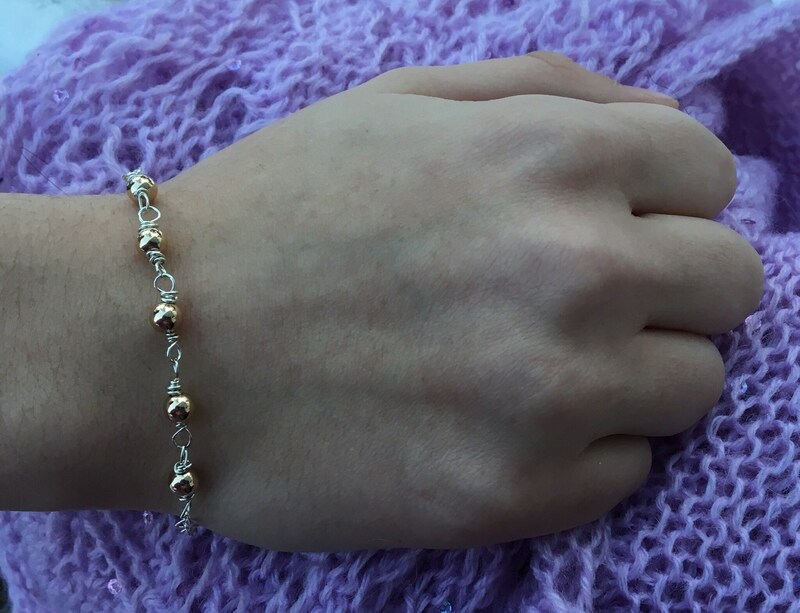 This bracelet fits up to an 8” wrist. It has a sterling silver lobster claw. 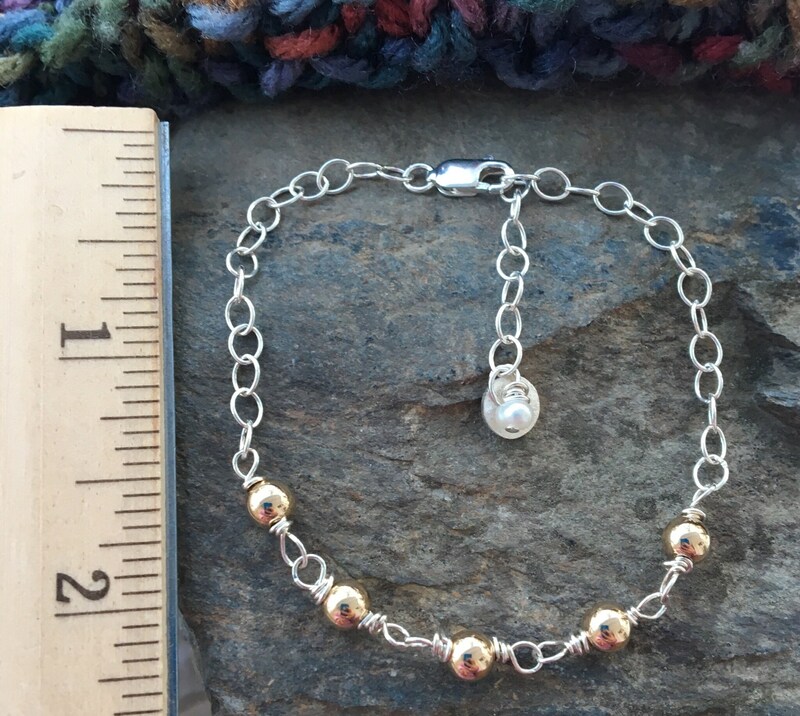 I hand hammered a sterling disc charm at the end of the chain along with a freshwater pearl.